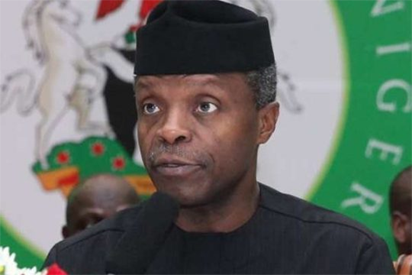 The Acting President, Professor Yemi Osinbajo, SAN, has revealed his wishes for Nigeria, saying the people if united can build a new nation. Osinbajo spoke as Special Guest of Honour at the graduation of the 2017 class of Senior Course 39 of the Armed Forces Command & Staff College, Jaji. His words: “We can build a new nation; a new nation built on trust, consensus and love for one another and love for our country is possible. “A nation where the rulers do not steal the commonwealth, where every Nigerian is safe to live and work, where the State takes responsibility for the security of each and every Nigerian, where the State knows every Nigerian by name and can find and locate each one of us. The Acting President insisted that the elite were largely to be blamed for the festering negative narratives. “I would like to emphasize the fact that this was essentially an elite phenomenon, unity and disunity are promoted by the elite which the vast majority of the Nigerian people are only later conscripted. “While we must remain irrevocably committed to freedom of expression and the tenets of a free press, we must draw the line between freedom that conduces to healthy democracy and that which threatens and endangers the entire democratic enterprise . It is an important balance, that we must strike. Failure in any way will be tragic”, he said. He also observed that the problem was exacerbated by the influence of the internet and hate media emphasizing that “today a great deal of the threats facing Nigeria are being nurtured and cultivated in the vast spaces of the Internet. “The rumblings of secession, the dangerous quit ultimatums to ethnic groups, the radio stations and blogs that spew divisive speech and exploit our fault lines; all of these are now to be found online. “The battle is not just to defeat the terrorists, the greater battle is to defeat the ideology and mindset that feeds the madness and to cut off its oxygen, money and publicity. “The truth is that our nation and national unity is worth preserving and protecting. We are the preeminent power in Africa today in terms of population, size of our markets , natural resources and economy. Osinbajo charged the nation to rise above unproductive ethnic and religious sentiments. He added, “We must develop the emotional intelligence required to cope and adapt in a swiftly and constantly changing world. “We must adopt a global mindset, that seeks to learn from the experiences of other countries, far and near, so that we do not waste valuable time repeating mistakes that we should have learned from and learned to avoid”.